The Stream Management Program (SMP) integrates four reservoir-basin scale stream management teams working in the New York City Catskill and Delaware Watersheds in a close collaboration funded and supported by the NYC DEP Stream Management Program in Kingston, NY. 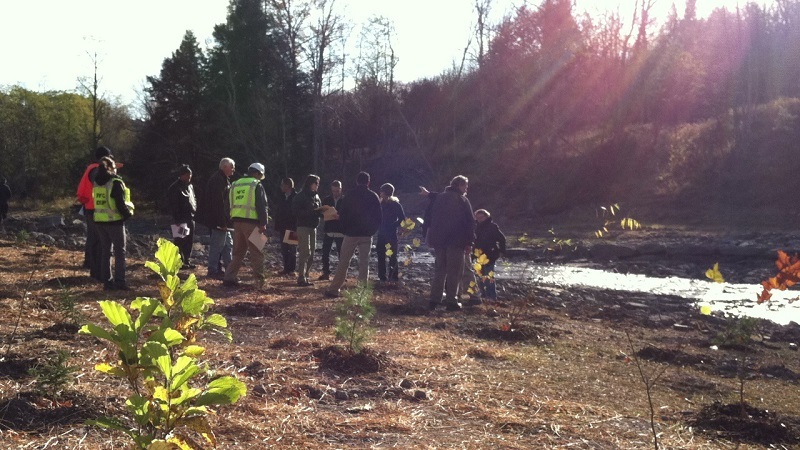 The Stream Management Program’s foundational goal is to restore natural stream system stability and ecosystem integrity by working with Watershed partners to facilitate the long-term stewardship of the Catskill region’s streams and floodplains. In these watersheds, approximately 75% of land is held by private landowners. The region’s extensive network of public infrastructure is managed by the highway crews of New York State, five counties and forty-one towns. In-stream activity is regulated by two NYSDEC regional offices and two Army Corps of Engineers districts. All of these individuals are “stream managers”. The independent actions and decisions of these many stream managers significantly influences stream bank erosion, flood risks, and stream and floodplain ecological integrity in this mountain setting; this in turn influences water quality for the City of New York. Recognition of this interdependence between the integrity of Catskill rivers and the quality of the City’s water supply provided the impetus for this formal programmatic collaboration beginning in 1996, when the NYCDEP SMP established partnerships with four county Soil and Water Conservation Districts (Greene, Delaware, Ulster and Sullivan; later expanded to include Cornell Cooperative Extension of Ulster County). Together these agencies initiated a planning phase in which the physical condition of stream corridors was evaluated and community concerns were surveyed, leading to the publication of Stream Management Plans with locally-driven and science-based project recommendations and demonstration stream restoration projects. The Program’s second phase began in 2007, focusing on the implementation of stream management plan recommendations through annual Action Plans. In 2014, the SMP continues its successful stream management implementation programs through educational activities for a variety of audiences, lay and technical, technical assistance to landowners and municipalities, grant programs and stream and floodplain restoration projects, while expanding to better incorporate flood hazard mitigation programming. Please visit the pages below for additional SMP information on the individual reservoir basin programs.